Jennifer Radden here provides a re-interpretation of the classic text by 17th century scholar Robert Burton, The Anatomy of Melancholy. Her new reading of Burton's essential text brings several key facets of his thought to light: the role of imagination in inciting and averting melancholy as disorder; the part played by daily habits of thought in engendering severe and incurable conditions; the multi-directional feedback loops linking feeling and thought in his model of mind; and an emphasis on symptoms and natural history in his understanding of disease. Much of Burton's account is derived from classical, medieval and renaissance writing about melancholy, yet he brought them together into something new: an account that -- while it stands in contrast to many of the assumptions of later psychology -- concurs surprisingly well with present day cognitivism. Moreover, although seventeenth century melancholy bears only a loose relationship to present day mood disorders such as depression and anxiety, on this reading the Anatomy anticipates a considerable number of findings and hypotheses associated with present day psychiatry, including its network models of depression, for example, and its emphasis on the part played by rumination and mind wandering in engendering affective disorder. 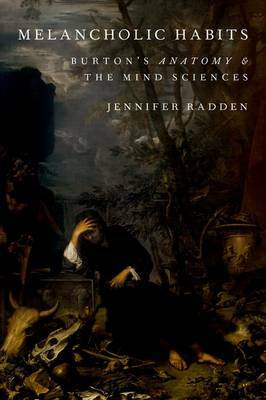 Radden's new reading of a classic text should interest readers in philosophy of mind and psychiatry, clinical psychiatry and the history of medicine.